The HBO series adaptation of George R.R. Martin’s A Song of Ice and Fire series Game of Thrones has continuously broken records in viewership as well as awards won. It’s one of the most popular shows in the world for its content, storyline, ground-breaking cinematography, and of course, acting. Audiences have come to know and love the actors, yet only really know them as the character they play. We thought we’d show you what they look like in real life, along with some fun facts about them, their characters, and what it takes to be a part of Game of Thrones.Have you seen what the actress who plays Cersei Lannister looks like in real life? 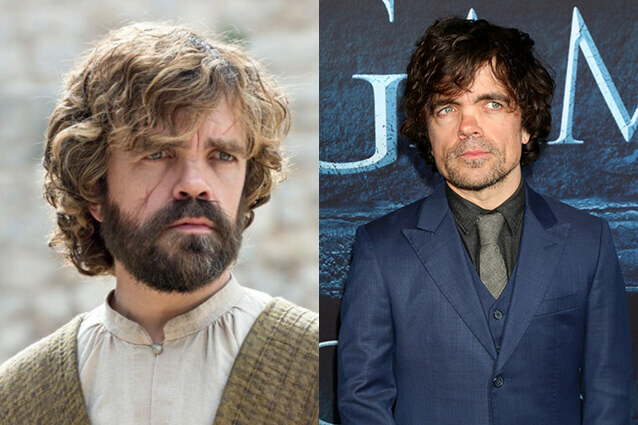 Looking a bit more put-together in real life, without his battle scars and sporting a suit, it looks as though Dinklage didn’t need too much done in order to pull off the Tyrion Lannister look. Of course, they did need to change his hair color to give him the signature golden hair of a Lannister, and he also needed to grow out his beard since hygiene is not of the utmost importance in Westeros. Before truly coming into his own on Game of Thrones, Dinklage acted in films such as Elf, Find Me Guilty, The Chronicles of Narnia: Prince Caspian and more. Since playing Tyrion Lannister, he has won an Emmy, been nominate numerous times, and also won a Golden Globe. Thrones Fact: Peter Dinklage is now one of the highest paid actors on television for his performance on Game of Thrones.